With 25 years of experience in construction management as a general contractor, Brian Whiteway decided he could do more than just new construction. 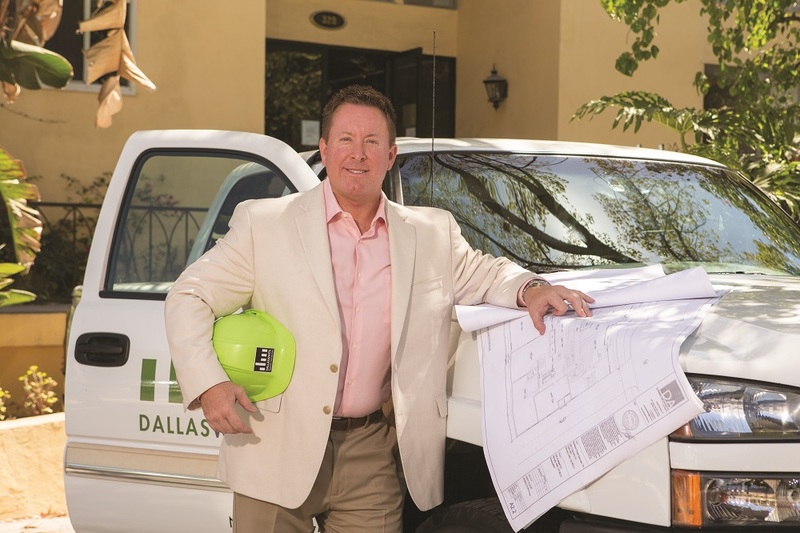 In April 2010, he relocated west and launched DALLASWHITE Property Restoration, a general contracting company specializing in catastrophe solutions and property restoration. His goal was to create a construction company with a conscience. Headquartered in Las Vegas, DALLASWHITE also maintains offices in Southern California, but serves customers in need nationwide. DALLASWHITE’s 24/7 emergency response team is always primed and ready to mitigate damage, secure properties, and ease the minds of property owners in the wake of catastrophe. From large natural catastrophic events, such as earthquakes, wildfires, floods, hail storms, or tornadoes to day-to-day damage caused by pipe breaks, sewer backups or fires, DALLASWHITE provides comprehensive, turnkey solutions. The company’s offerings include — but are not limited to — emergency services, mitigation, abatement, remediation, demolition, and reconstruction services. “One thing that differentiates us from other restoration companies is the fact that we are not franchised,” says Whiteway. 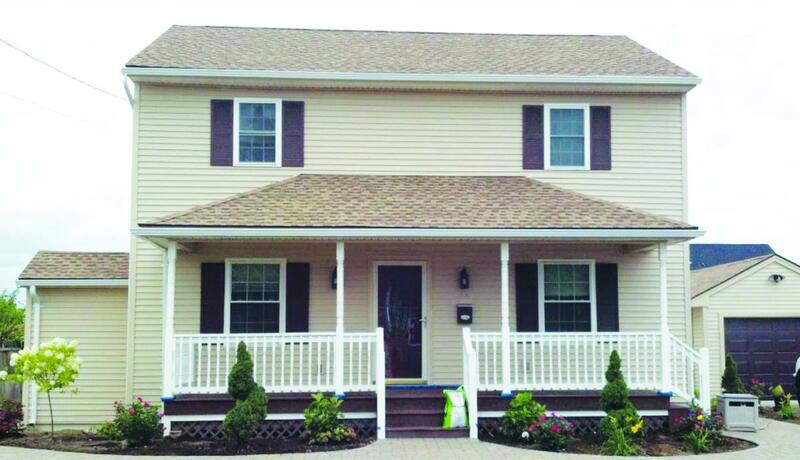 “DALLASWHITE is solely owned and all projects are managed by our expert core team. This gives us an edge with the level of service and quality control we can provide. We are 100 percent focused on our clients’ needs and how we, as an organization, can exceed their expectations.” Whiteway personally holds top-level licenses as a general contractor in 31 states, which qualifies DALLASWHITE to perform work on all property types, including residential homes, industrial properties, commercial buildings and high-rise skyscrapers. Regardless of the type of project, quality and safety are first and foremost for DALLASWHITE. As president and CEO of DALLASWHITE, Whiteway has a proven track record of establishing business in new markets and cultivating key networks. Starting his construction career while still in high school, Whiteway established a deep interest in the industry, which led him to study civil engineering in college and start his first company. After experiencing a customer mistreated by his former employer, Whiteway founded his first company based on his belief that he could perform the same quality construction work as his employer while maintaining the customers’ needs as a top priority. “I wanted to provide the absolute best service for people,” says Whiteway. “I’ve combined that passion with years of construction knowledge and have applied them to an industry where I have the opportunity to help people in catastrophic situations and that is extremely rewarding.” Whiteway is also an active member of the Southern Nevada Claims Association, Inland Empire Claims Association and the San Diego Independent Insurance Adjuster’s Association. A recent project that highlights the commitment and passion DALLASWHITE puts behind its service is the restoration of C.G. Di Arie Vineyard and Winery in Plymouth, California. In July 2014, the winery was impacted by a forest fire, which caused more than $1 million in damage. It was estimated that the winery would experience significant downtime and would risk revenue loss if it missed part of grape crushing season. However, with an efficient and dedicated team, DALLASWHITE was able to have the winery back up and running in time for its sauvignon blanc crushing season. By working in such a timely manner, DALLASWHITE was able to save the insurance company approximately $1 million in business interruption expenses. In 2013, a microburst with winds exceeding 200 mph ripped through Desert Pines Country Club, a Las Vegas golf course. The microburst caused extensive damage to the landscape, uprooting 245 trees, cart paths and buildings, and snapped off 120-foot steel columns at their base, which were used for holding up the driving range netting. Again, DALLASWHITE demonstrated the ability to rise to the challenge and work efficiently under the tight eight-week timespan that was dictated by the golf course. Although working under this type of pressure is not for everyone, Whiteway thrives on being able to minimize the effects of devastating events on businesses and property owners. DALLASWHITE continues to expand its market share as well as its geographical footprint. Within the next two years, the company plans to be able to serve clients all across the United States. With emphasis on communication and transparency, DALLASWHITE Property Restoration will expand its strategic relationships and continue to provide top-notch service to new and existing clients.